The District’s 29th Annual Progressive Party, High Rises & Honky Tonks is a celebration of Downtown Nashville. 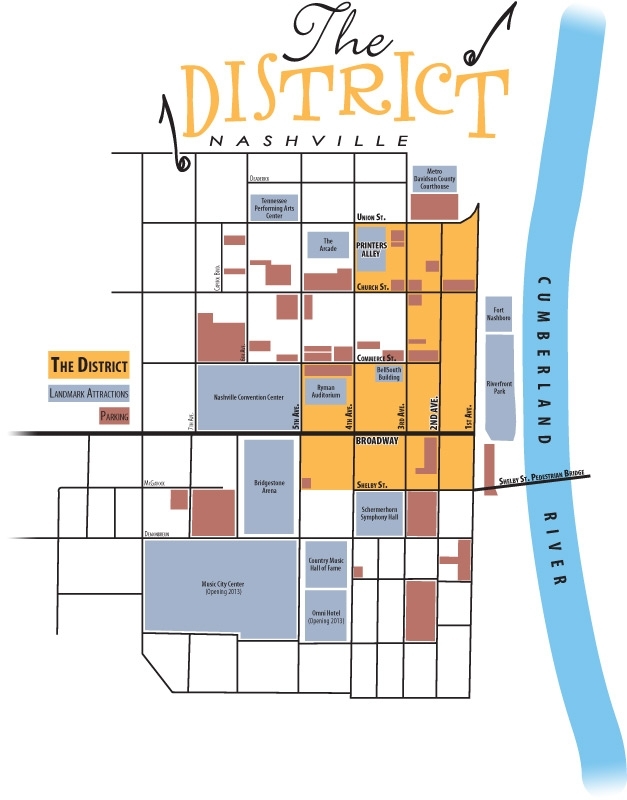 This event serves as a fundraiser in support of The DISTRICT’S mission and is an incredible opportunity to showcase some of the unique venues that are part of downtown Nashville. Contributions for The DISTRICT help fund community projects such as Holiday Decorations and improvement projects, including The Ryman Alley. The event features destinations where guests meet, mingle, have fun and support a great cause. This year, The DISTRICT will recognize Steve Buchanan with the 2015 Spirit of The DISTRICT Award. The award is presented annually to a person or persons who have made a significant commitment to the vitality of Downtown Nashville Steve Buchanan is President of Opry Entertainment Group. Buchanan oversaw the renovation of the Ryman Auditorium, the Wildhorse Saloon and brought Opry Originals retail store to Broadway. Three exciting venues will be showcased: Skulls Rainbow Room, The Stage on Broadway, and Hard Rock Café. Each venue will include food, beverages and entertainment for Progressive Party attendees. The Last stop will feature a silent auction with a varied selection of noteworthy items will be available for bid. If you love Downtown Nashville and would like to support an organization with the purpose of fostering the rich heritage of Downtown and its ever-changing development, then join us on September 30th, 2015!